I agree a perspective shouldn’t define you. It depends on the novel and the characters. Reblogged this on phúc lộc thọ việt nam. Personally, I’m a fan of whatever works. Writing in first person, for me, is WAY more engaging. It allows me to sink more fully into my character’s perspective, which makes my writing (in my opinion) better in that way. First person can be tricky, though, so writers just have to be careful not to wander into 1st person omniscient. I think first person is a lot more engaging, too! – one of the main reasons I love reading it. I like feeling like I am in the adventure as the protagonist. I also like how you added the difficulties of first person (how someone might wander into omniscient land.) There is a skill to all perspectives. I fully agree. Though, I’m confused on what people mean by ‘serious’ writing. Does it mean a story is juvenile or the author is immature? If an author puts all of the energy and focus into a book then I would think it’s serious no matter what anyone says. Maybe I’m just nitpicking here. 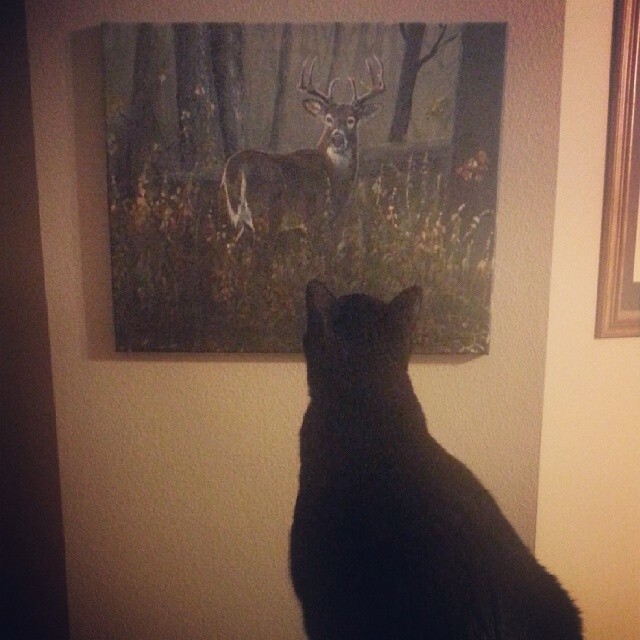 By the way, I thought that picture was of a panther in an art museum. Serves me right for not getting enough sleep. I find the term “serious writing” irritating for all those reasons. I actually wrote about it last November: https://shannonathompson.com/2013/11/02/serious-writing/. I’m sorry I missed that post. I fully agree with foreshadowing, which is a favorite tool of mine. It does get me into trouble since you get some readers that miss it or decipher it differently than I intended. Part of the job path, I guess. No worries! I try to link to past entries when I bring them up in current blog posts since I post so much. I know a lot of posts go unnoticed. But I thought you would like that one. I’m glad you took the time to read it. 😀 Definitely part of the gig. All very useful to this tyro. Great advice. I’ve written a few things in first person. It felt strange to me the first time. I’m used to writing in third, however the story wasn’t being told right in third. I agree the characters will and does control the way we write. They can be so bossy. Thank you for sharing your personal experience with writing in third and first! I like hearing about other writers, and I think it helps other readers on here to see they aren’t alone.